M.A.C Wipes swipe away make-up, smudges, dirt and grime. The large wipes saturated with M.A.C cleanser and vitamin E hydrate, nourish and refresh the skin and are packaged in a convenient, re-sealable pack. The wipes are made of a strong cloth but still feel nice on the skin - they arent the softest wipes on the market but aren't very harsh where they will start to irritate the skin. The wipes don't feel overly wet but are very effective at removing makeup, even long wearing foundations and eye liners. One wipe from the pack is enough to thoroughly remove all traces of makeup from the face and there's no uncomfortable oily or sticky residue left on the skin after using the wipes. You dont need to use too much pressure to remove the makeup either. However, as someone who has dehydrated-combination skin, I found the wipes left my face feeling slightly drying and therefore my skin felt a little tight because of it. As a result, I make sure to go in with my hydrating cleanser for a second cleanse to remove this feeling and also ensure that my skin is cleansed properly. 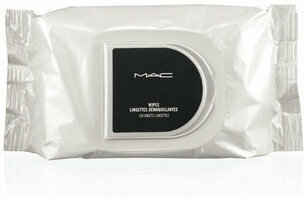 Mac remover wipes claim to remove away makeup, smudges, oil and grime from the day! They retail for $25 and contain 30-sheets which come packaged in a resealable sticker down pack to keep them protected and soft. You can also get 100 sheets for $42-which is a better deal overall.  These cloths are very soft yet study and do a great job at removing make up. I like the fact that I don't have to drag or pull on my skin- they have natural cleansing agents which are quite refreshing and soothing on the skin. I find that these wipes are especially great at removing long wear makeup and strong lip product's. I find the best way is to hold the wipe down and swipe rather then pull. These are also really amazing at removing mascara and waterproof eye makeup very well- just hold the wipe and swipe-gone. The wipes aren't extra hydrating or providing excess benefit for the skin but they are only aimed at removing make up. I always follow with another cleanser but most of the make up and oil is already mostly gone-love this. The wipes do have fragrance but it doesn't irritate or dry out my skin - and I'm washing my skin after anyways so I don't mind too much. They can dry out quickly too in the package so you need to be cautious of keeping them completely sealed. If these wipes were a little bit cheaper I would repurchase and recommend but I think that the price is a little bit expensive when there are lots of affordable make up removers on the market. That said make up comes off like a breeze and it's gone! These are easily some of the best makeup wipes I've used. One wipe removes my entire face of makeup including waterproof mascara. They remove every single trace of makeup, I'll go over my face afterwards with a cleanser and clarasonic and there won't be any trace of makeup leftover. The only letdown with this product is the price - so expensive for the product! I only ever buy when I have a voucher or Myer One Points to spend! Removing makeup when you're feeling lazy or when you don't have another cleanser with you. These are a little pricey for face wipes, but they work so well they deserve the 5 star rating. They remove every trace of makeup, are non-irritating on my sensitive skin and they leave my skin feeling super smooth and oh so clean! Love them. leaves my face makeup free! I love how these wipes take off all the makeup so quickly! Even waterproof mascara! Will buy again! Find out how the singer takes care of her skin and that signature platinum 'do.